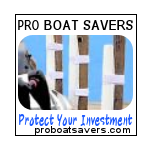 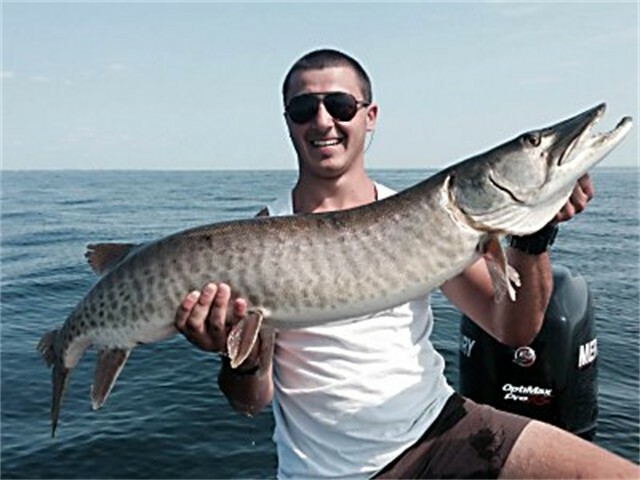 See the smallmouth bass, muskies, walleyes and sturgeons our clients have been catching. 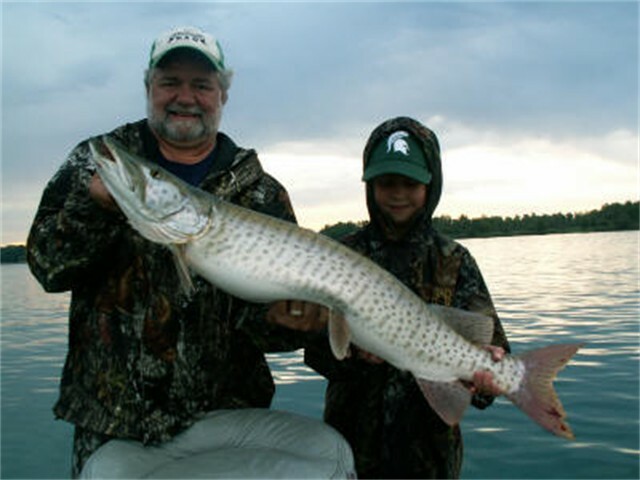 Doug and his son Garrett Samsal have 38 years of combined guiding experience and can show you where to fish the big bass. 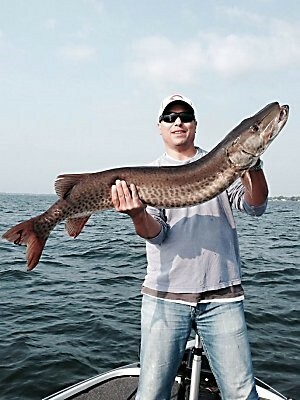 Warm weather brings out all types of great fishing in Michigan. 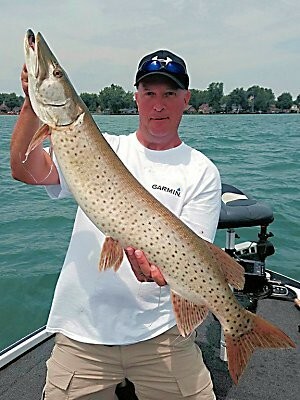 The summer temps have the fish going deep to keep cool. 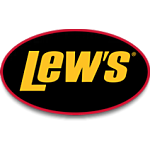 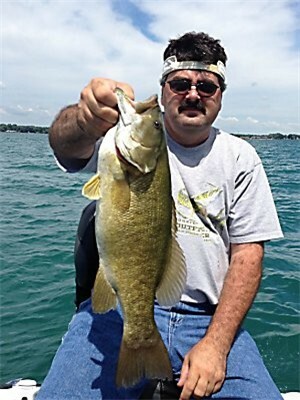 Know where to fish the lakes for best results. 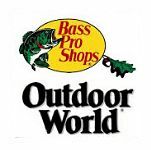 I know all the hot spots. 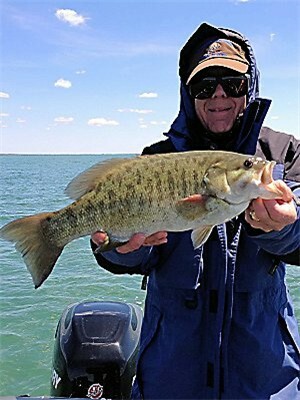 We've really pulled in some trophy bass. 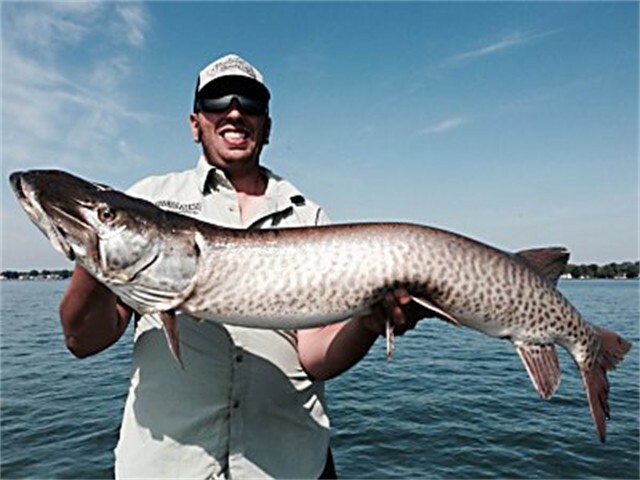 The numbers of Musky in Lake St Clair, Detroit River and surrounding rivers are very impressive and rival the best Musky waters anywhere in the world. 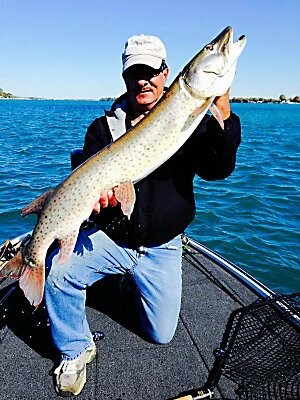 Musky casting and jigging are my favorite method’s to teach, I always look forward to the expression of a new caster when the first huge Musky follows to the boat and attacks the lure as they are lifting it out of the water. 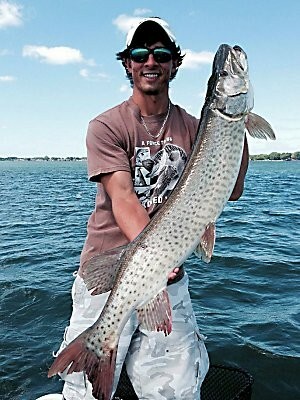 Some have got so excited they pulled the lure away form them, that happened again just last summer. 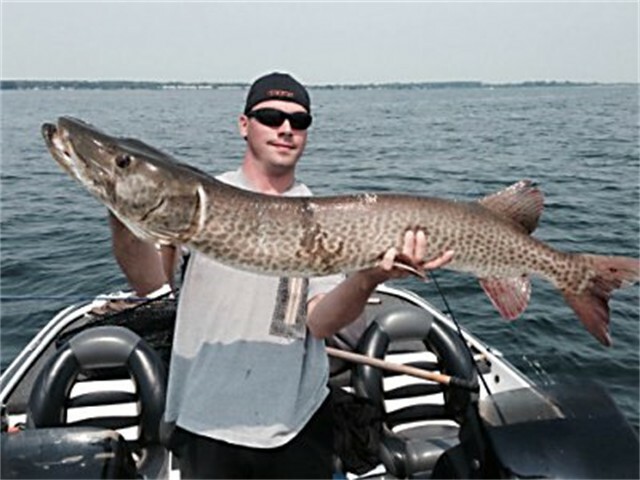 I was raised casting Musky on Lake of the Woods in Canada this is also some of the best Musky waters can you find. 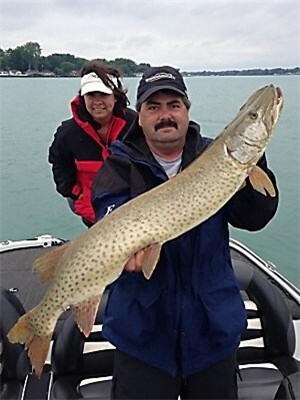 Having said that I am a professional fisherman first and try to keep my personal preference out of the mix. 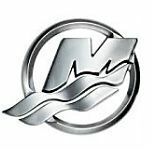 I believe there is no substitute for knowing all the methods and exactly what kind of water and situation suits it best. 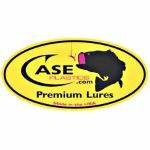 In the rivers you have weed drop offs and points these can provide some great casting opportunities. 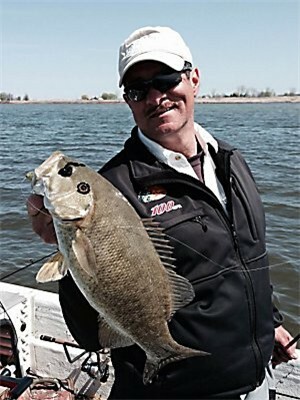 The deep water adjacent to the weed drop offs is excellent water for deep water jigging. 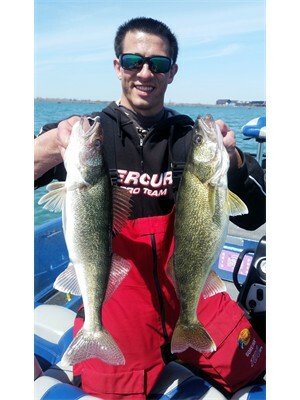 This method is much like walleye jigging, were you lift the jig fairly fast and you fish the jig back to the bottom. 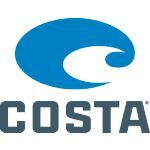 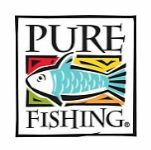 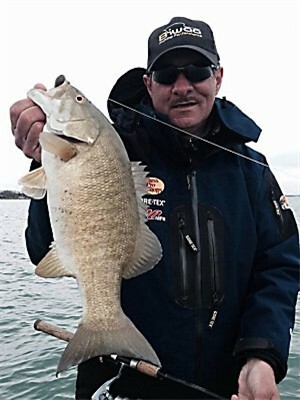 I have found some excellent water in Lake St Clair for casting, the key to casting and jigging is you have to be more precise in your casting or jigging. 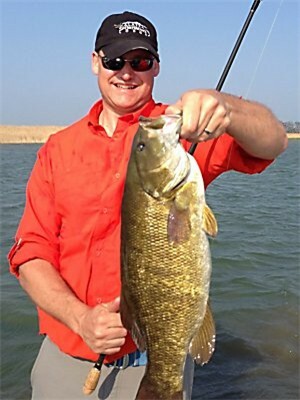 You can’t just throw it anywhere, you must locate very precise locations these fish go to feed. 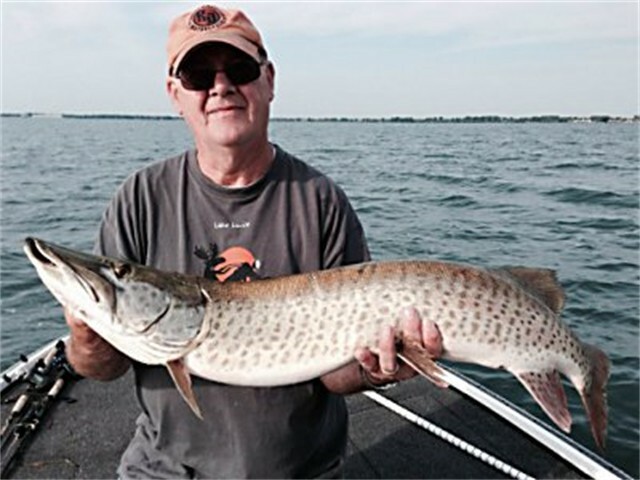 Now it becomes a mater of depth and the time of day that the feeding will accrue, I have had Musky show up at a prime feeding spot at the same time of day many times, or until we caught them. 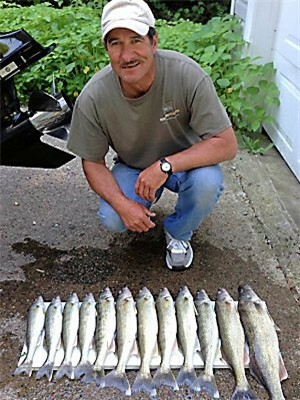 This does not mean we keep them they just sometimes move on to another location after being caught. 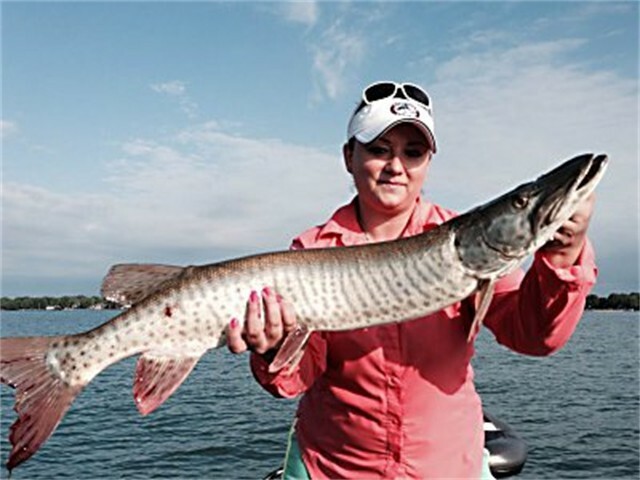 Musky will constantly move in and out of your best hot spots. 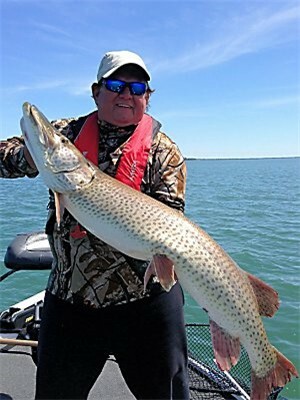 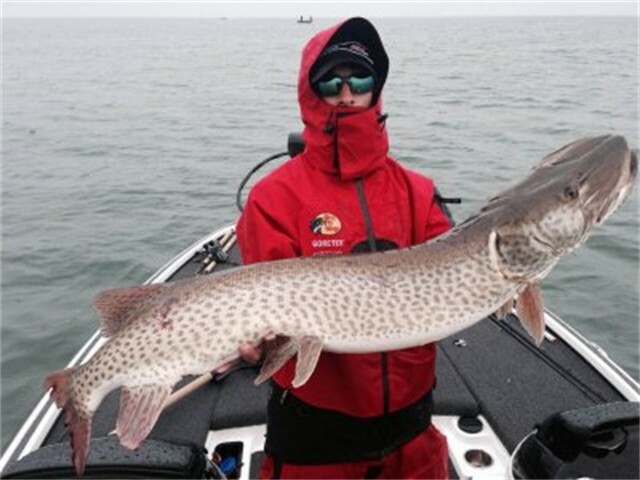 Both casting and jigging are very exciting, I invite you to join me for a wonderful day of Musky fishing and learning on these world class waters!! 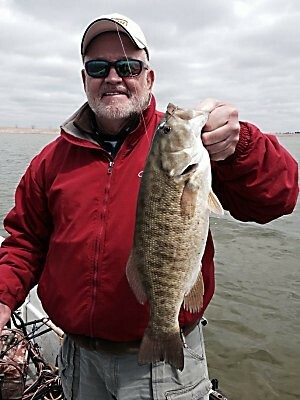 My small mouth bass season starts in May with the newly added catch & release season that opens the last Saturday in April. 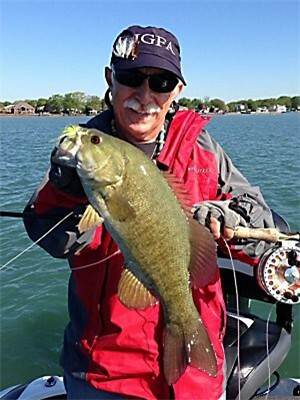 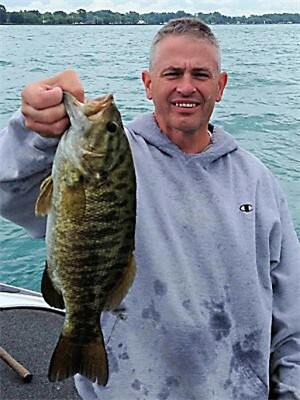 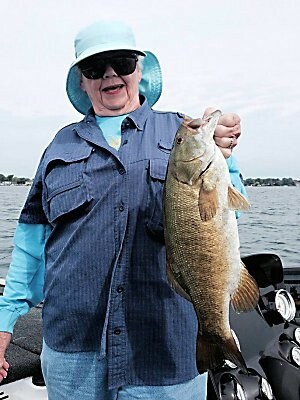 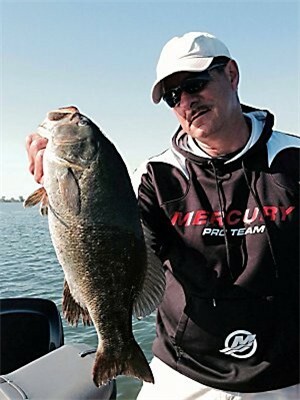 People now know how exciting this could be fishing the heavily concentrated smallmouth bass in Lake St. Clair. 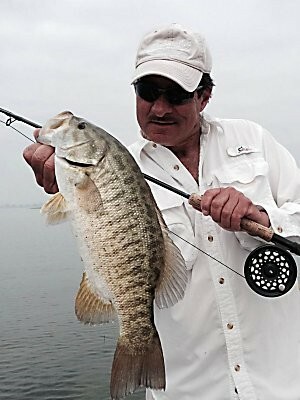 These fish at this time of year respond better to tube jigs, spinner baits, top water and fly fishing is fantastic also. 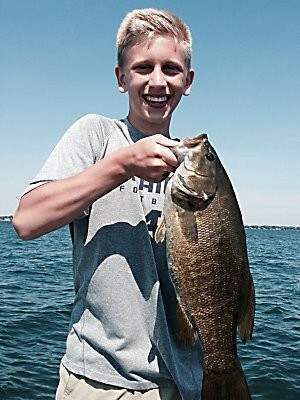 The size of these smallmouth and numbers at this time of year are astonishing. 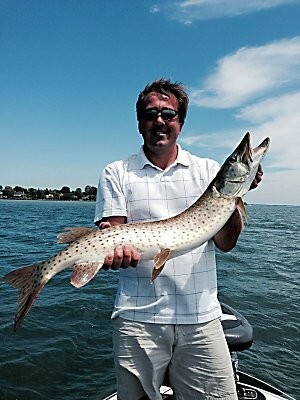 You owe it to yourself to book your guided fishing charter with Capt. 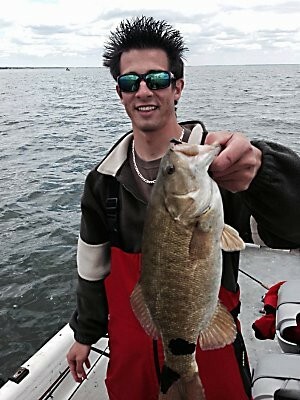 Doug Samsal. 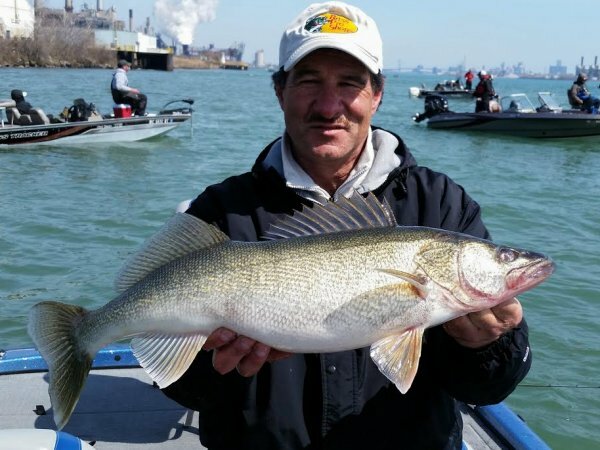 The Detroit River and The St Clair River are both teeming with monster walleye in the spring time. 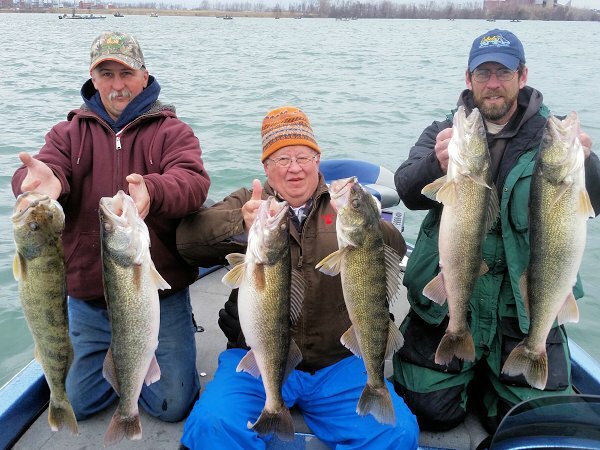 The Detroit River starts things off being closer to Lake Erie the walleye factory of the world. 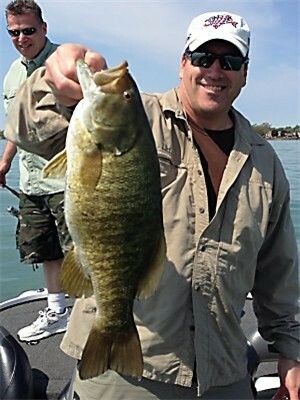 The other reason is the water warms faster in the Detroit River because of all the shallow waters of Lake St Clair this also helps kick off the early spawning. 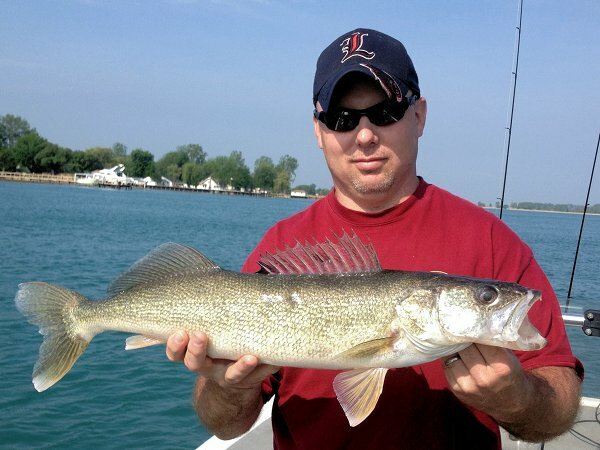 The St Clair peeks a little bit later because the water feeding it out of Lake Huron is so cold. 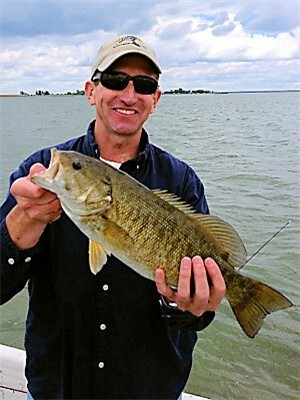 My unique approach and commitment to my clientele is teaching you the refined art of slipping the current and vertical jigging. 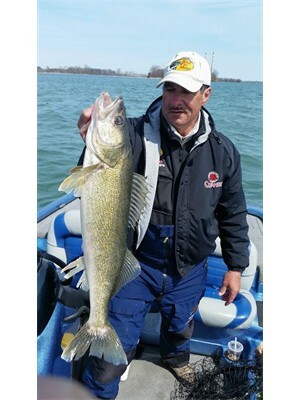 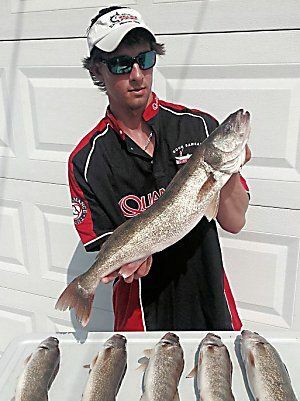 This is all about boat control and having the right equipment in hand to develop the feel of that light bite, or being more precise that extra weight of the walleye closing his mouth on your jig and responding with a hook set. 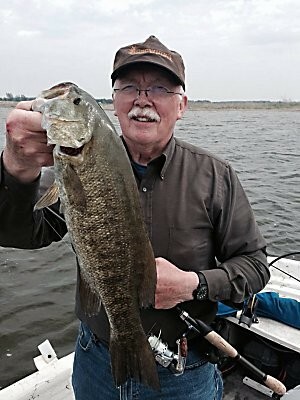 The river current is usually 5-9 miles per hour, we use this speed to cover holding water while maintaining boat control and periodic jig contact with the bottom. 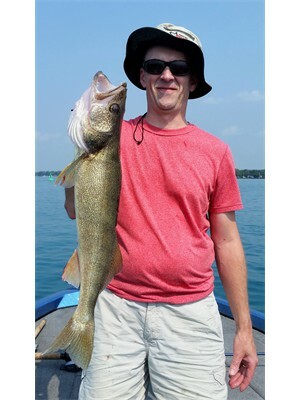 Eventually keying in on heavily concentrated walleye locations. 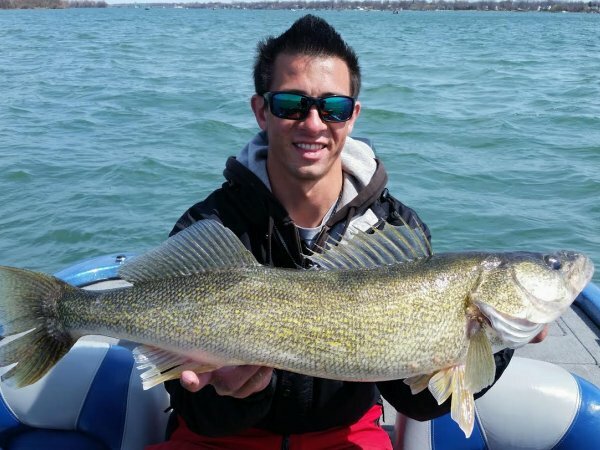 I was raised jigging walleye on Lake of The Woods in Canada so this is very natural to me and the boat control comes from over 25 years guiding the Big Manistee River for steelhead and salmon out of a 21ft jet sled. 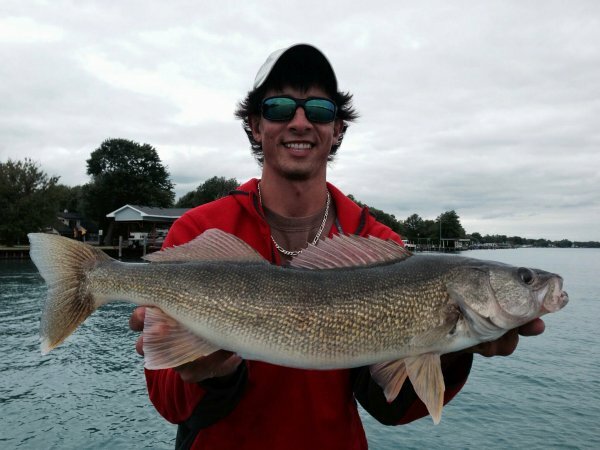 You will be impressed with this walleye jigging, better than anywhere in the world!!! 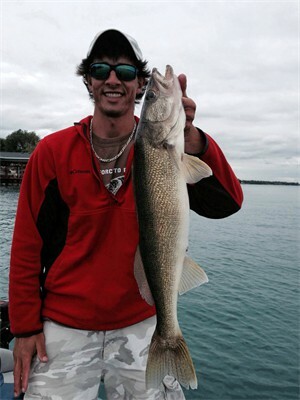 Primitive, highly sought Great Lakes fish.